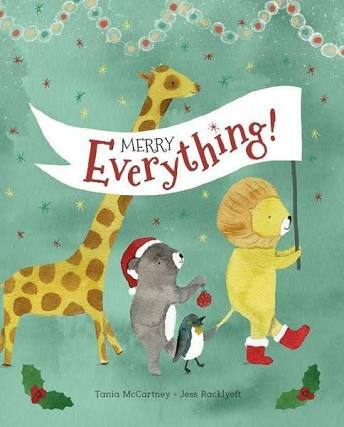 Sam and Sebastian are the best of friends but when Sam embarks on a mission to celebrate Christmas with all the animals she knows, pragmatic Sam is reluctant to support her – ‘Christmas is not for animals’, he insists. 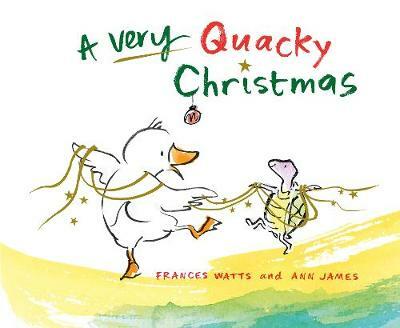 Nevertheless, Sam perseveres in the most merry, quacky way until there comes a point where even her Christmas spirit is challenged. This tale of selflessness, friendship and sharing is analogous of the first Christmas story in that the pair overcome considerable obstacles to bring the world a special surprise. Joyful watercolour and magic induced illustrations (so described by James!) complete a truly enchanting little read for 3 – 5 year-olds. It’s Christmas Eve and Dottie, Jem and Shortbread, the wheaten coloured pooch, are waiting patiently for that, ‘fizzy, exciting Christmas feeling’ to arrive like it always does. However, disappointingly, as they wait at Grandma’s and Grandpa’s dutifully going through all the motions, it never does. There is no usual Christmas pudding stirring or tree decorating or carols by candlelight, which leaves Dottie sad and remorseful until Jem suggests they search for the Christmas feeling outside. What they discover under the twinkling stars will warm the very cockles of your heart and fill you with enough Christmas feeling to fill the North Pole. Lusciously illustrated by Francey, this is a gladdening story of family, new beginnings, hope, Christmas traditions, sibling love and memories that will appeal in sleigh-loads to young and old alike. 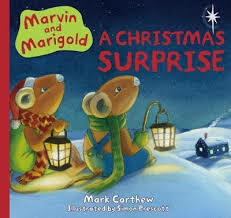 Best mouse mates, Marvin and Marigold are back and this time Marigold has received a marvellous massive surprise 24 days before the most magical day of the year. It’s more than just a Christmas tree her mother has gifted to her; it’s a box of magic and memories. Marvin is not so fortunate and looks set to spend the silly season alone, forlorn and forgotten. Of course, there is no way Marigold will let that happen. Carthew’s spirited rhyming prose and Prescott’s jolly illustrations acknowledges the isolation some of us can feel at this time of year and the importance of sharing with others. It is also a heavenly observation of the decorative lead up to Christmas, which will no doubt stir up plenty of cherished memories in older readers and reinstate new ones for younger audiences. With big bold, brighter-than-Bond-Street-lights illustrations that you’ll just want to scoop up and cuddle, this jolly picture book counts down Christmas in the most gleeful way for pre-schoolers. 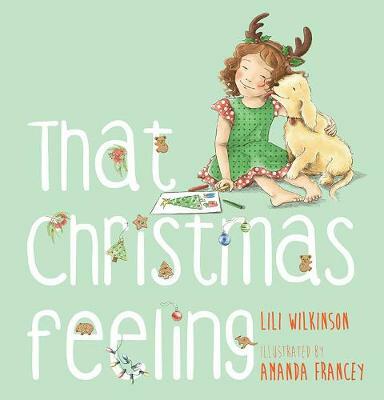 Stimulating verse and vibrant use of colour and onomatopoeia creates a delicious sense of expectation that small children will find as irresistible as candy canes. 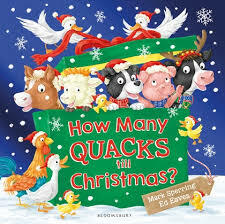 This is a book load of festive fun you’ll be happy to read repeatedly as you count down how many more ‘cheeps’ till Christmas. 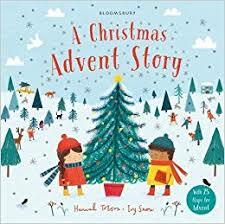 If advent calendars are your chosen way to tick off the days until Christmas day but you want something a little more sugar-free this year, consider this lift-the-flap picture book. Each page allows kiddies to explore all the best anticipative bits of the season including the bake offs, the tree decorating and the present wrapping and provides plenty the obligatory numbered flaps to lift for extra surprises. A sure-fire way to entertain and engage for a least one month of the year.